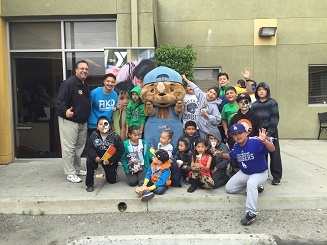 On Saturday April 25, Sammy Rabbit said to children at Weingart East Los Angeles YMCA “Stay healthy, dream big, and grow!” Sammy was at the YMCA to take part in the YMCA’s annual Healthy Kids Day® initiative. Around two hundred twenty-five children and families participated in the festivities. Kids learned about the importance of daily healthy habits. They took part in a wide array of activities that included dancing, games, face painting, as well as handshakes, hugs, and pictures with Sammy. Over 1,300 YMCA’s across the nation celebrated Healthy Kids Day®. The purpose of the educational day is to remind kids and families to stay active during the summer. According to the YMCA, summer is the time for kids to get up, get out and grow. As the school year ends, opportunities for some kids to play and stay active are limited. In fact, the YMCA points to research that indicates kids are prone to gain more weight and fall behind in studies during summer months. For parents and educators seeking more resources on connections between great health and money habits, Sammy Rabbit recommends checking out Rutgers New Jersey’s Agricultural Experiment Station (NJAES) Cooperative Extension major health finance initiative Small Steps to Health and Wealth™ and the book Small Steps to Health and Wealth written by Dr. Barbara O’Neill and Dr. Karen Ensle. Sammy Rabbit agrees with the YMCA and Rutgers. 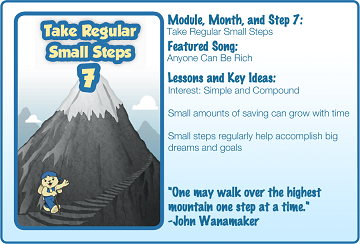 Regular activity and small steps are super duper strategies for accomplishing better health, greater wealth and big dreams! Join US: Inspire Big Dreams! 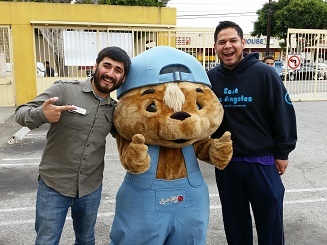 Join the Weingart East Los Angeles YMCA and Sammy Rabbit. Inspire big dreams. Teach kids great money and reading habits. Bring the Dream Big Day Experience to kids-families. FREE RESOURCES!